I remember reading Robert E. Howard’s pulp stories when I was younger; Conan, Kull, Bran Mak Morn… Hyboria was as solid in my imagination as Middle-Earth or Narnia. I confess here and now however, the Howard character that most fascinated me was SOLOMON KANE. An adventurous, devil-hunting puritan, Solomon Kane turned my notion of religion on its head. He wasn’t weak, prissy, filled with petty vindictiveness; this guy came to the aid of the helpless and oppressed. He faced down demons. He fought evil, not with prayers or sprinkles of holy water either; he defeated it with steel and lead. Suddenly I saw the pilgrims in a whole new light: if they were anything like this guy, no wonder they had the guts to cross the Atlantic in that little boat. Odd as this sounds, Solomon Kane stands with William Wilberforce, Martin Luther, Robert Raikes and William Booth as an example of bold, aggressive faith. 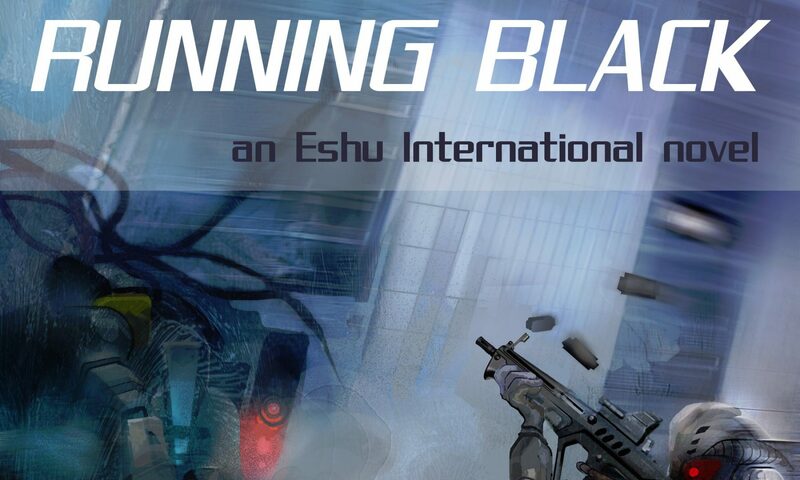 One of my goals in Running Black was to portray Christian themes in an otherwise standard sci-fi action story. I was tired of the ‘vile hypocrites’ or ‘naive simpletons’ trope many religious characters get slotted into. I get annoyed at misquoted Bible references, fabricated Scriptures (see Samuel Jackson in Pulp Fiction) and general all around bad theology. (“Supernatural” is an engaging show but the worst offender here) Now I know some insist faith is fiction – that discussion is for another day – but it seemed to me neither Saint nor Sinner wanted to portray each others world honestly and realistically. “An active, dangerous love… “ For me, that sums up the essence of the Incarnation and the most potent expression of Christian faith: a love that’s not afraid of a fight and that’s not worried if its hands get dirty. That’s the kind of love I want to have. And the kind I want to portray in my novels. It’s not always going to be easy. It’s not always going to be tidy. Sometimes it’s not going to come off quite right or be acceptable in polite society. But I think that’s the kind of love that really makes a difference. Not a problem, John. I agree; hope isn’t a strategy and hand-wringing isn’t decisive action. Thanks for commenting. I agree, this “risk-taking” is what’s required of Christians and, while what some consider “risky” would be considered tame by others, it’s important we – as God’s called – push the boundaries on how we serve out our calling and set an example for others. Haven’t seen MGP but did read Childer’s “Another Man’s War” and found it challenging. And yes, inspiration with out action is nothing but fantasy. We have to act. Next PostNext Books for a deserted island.